ELIZABETH AND DAD HAVE FANTASTIC DAY AT EASTBOURNE!! Back in April Elizabeth and Adriana won the Quorn Cup at Sundridge Park. 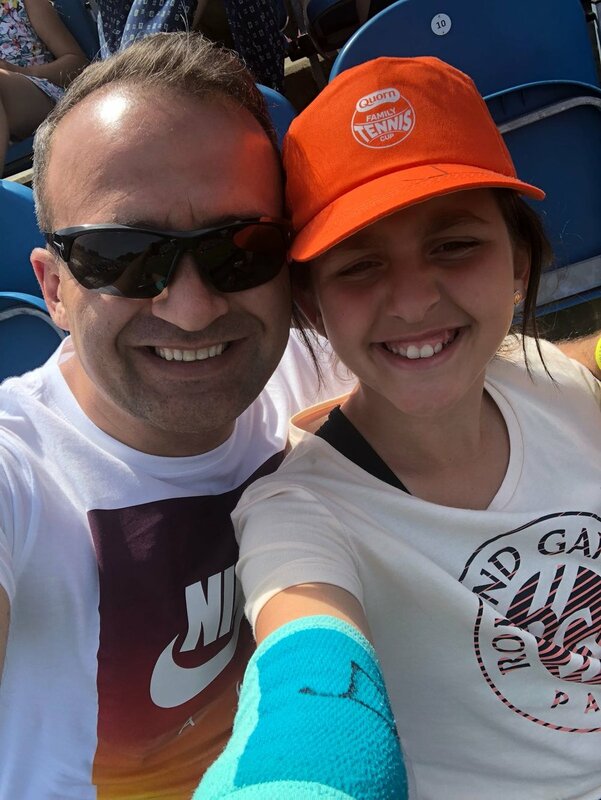 As part of the prize they were invited to watch at this weeks Nature Valley International tennis event in Eastbourne, the other was to compete in the Quorn Cup National competition. Due to Adriana just giving birth to a little sister for Elizabeth Dad had to step in! Marian and Elizabeth did fantastically well winning 3 of their 4 matches! Some great snaps of the 2 of them at the Quorn cup event and a selfie of themselves watching in the Eastbourne centre court! Great stuff!! Newer PostJunior Awards - Oh What a Night! Older PostORANGE BALL CLASS TAKE WIPEOUT TO A NEW LEVEL AT SUNDRIDGE PARK! !